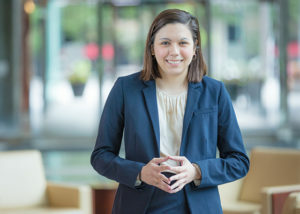 As Research Manager and a member of the Investment Policy Committee, Cary provides ongoing research of macroeconomic risks to assist in tactical asset allocation decisions and risk management for client portfolios. Cary oversees the process of investment selections and ongoing due diligence as well as general investment support. Cary joined Heritage as a Portfolio Management Associate, gaining experience in investment strategy implementation and client portfolio management before transitioning to the Investment Research Team. Prior to joining the Firm, she was an associate at Xenith Bank. She previously held intern positions at Morgan Stanley in New York, NY and Spider Management Company, the University of Richmond’s investment management affiliate. Cary earned her Bachelor of Science in Commerce with concentrations in Finance and Accounting from the University of Virginia. She is a CFA® charterholder and a member of the CFA Society of Virginia. Cary currently serves on the Leadership Advisory Board of the First Tee of Greater Richmond.